Mental Health Awareness Week, VOOM, Chelsea and weddings… Where to start?!? There’s SO much going on at Organic Blooms this week that it’s almost impossible to know where to begin. But as this week is Mental Health Awareness Week, let’s start there. 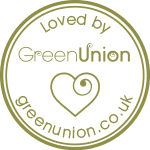 Last week we asked you to vote for us in the Virgin VOOM Awards and we’re delighted to tell you that we were short-listed for the Virgin Unite Impact Award! 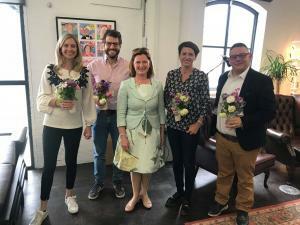 Organic Blooms founding director Jo hot-footed it to London bright and early on Wednesday morning, armed with posies, to pitch to Virgin Unite chair Holly Branson and a panel of top business and social entrepreneurial experts. Organic Blooms was one of five entrants who were shortlisted and the panel loved our flowers and our ethos.  The even more fantastic news is that Organic Blooms has now been shortlisted to attend next week’s finale! Taking part and getting such a positive response from the panel and those who supported our entry is such valuable experience. In last week’s blog we mentioned RHS Chelsea Flower Show, and we’ve had a lot of Chelsea excitement this week. 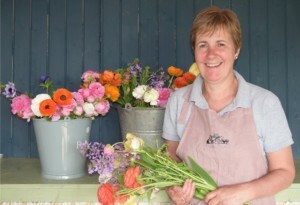 Organic Blooms is part of non-for-profit British flower growers’ organisation Flowers From The Farm, who have been invited to create a centrepiece display for the Grand Pavilion at RHS Chelsea Flower Show. We are thrilled that Wendy, our head florist and co-director, is part of the eight-strong team who are designing and creating the display. 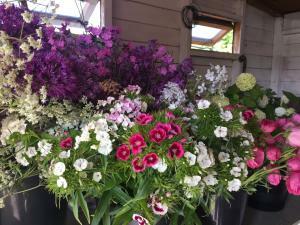 Flowers From The Farm growers the length and breadth of Britain are donating seasonal flowers and this includes Organic Blooms – we have sent around 350 stems. We also organised one of several logistical hubs that are operating across the country to make sure the flowers reach Chelsea in top condition, and 24 growers from across the West have entrusted thousands of stems to us for onward transportation. All the flowers are being taken to a London floristry studio where Flowers From The Farm Founder and Chelsea project leader Gill Hodgson and the team will prepare the flowers for the display. The BBC have been filming the progress of the project and back in April they spent a day filming with the Flowers From The Farm display team here at Organic Blooms. Although the details of the display remain top-secret for now, we can tell you that the design is based on an old-fashioned horse and cart taking flowers to market and promises to be stunning. Even though it leaves us with very few flowers to offer on our website for the next week or so, it’s an amazing experience to be part of. Keep an eye out for it in the BBC’s Chelsea coverage! Finally, we can’t not mention weddings this week – we’re looking forward to seeing Meghan’s bouquet! It’s reported that she has chosen white roses, foxgloves and peonies. With our seasonal hat on, although the shocking weather of the last few months means that it’s still a little early for peonies and many roses, it won’t be long now until they are in full bloom and we do already have foxgloves in flower. 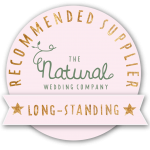 Our top picks this week would be cow parsley, sweet williams, pink campion and ranunculus, many of which we have supplied for an equally special, if less royal, wedding celebration this weekend. We wish both happy couples well – they’ve picked a glorious time of year for it. Back in the real world, our trainees are still working flat out potting on, planting out, topping up the sun cream – and doing rain dances. Whilst we love the sunshine our plants could really do with a good soaking now, but not until today’s nuptials are over, please!